Dr. Joseph J Collins, RN, ND is President and Co-founder of Your Hormones, Inc. He has been directly involved in advancing the practice of natural hormone health since 1993. His functional endocrinology clinical practice focuses on adrenal fatigue, hypothyroidism, menopause, andropause, PMS/PMDD, PCOS and blood sugar disorders. He has extensive experience in the advanced use of adaptogens to support and improve hormone function through the modulation of homeostasis regulatory systems which control hormone production and hormone function. Dr Collins is a medical educator, author, and speaker who has done over 500 hours of teaching at advanced medical seminars and conferences. He has worked with or advised many functional diagnostic medical laboratories, and has contributed to the advances made in clinical applications of diagnostic testing. 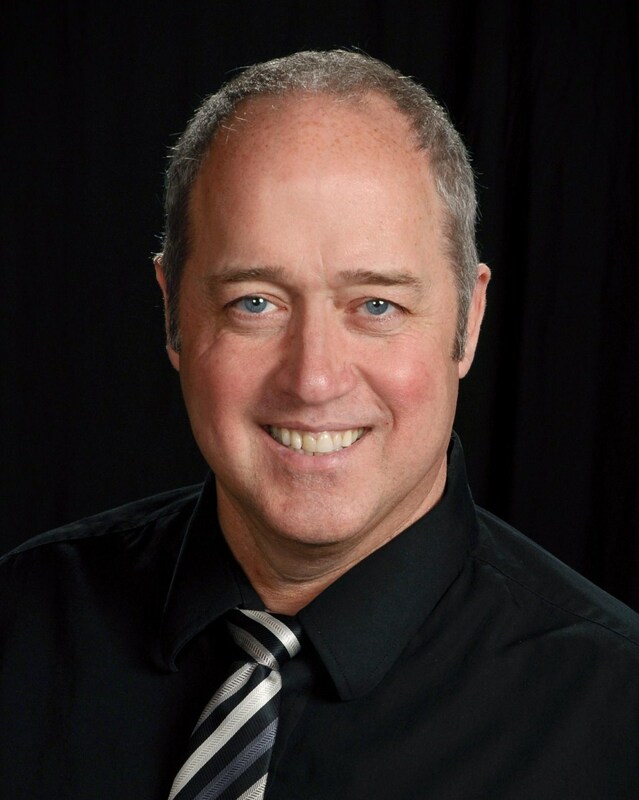 At a national and international medical educator, Dr Collins continues to educate and advise other integrative practitioners in the assessment and management of menopause, PMS/PMDD, thyroid and adrenal disorders, as well as inflammatory diseases, celiac disease, and other chronic conditions. My naturopathic practice has always focused on an integrative approach to healthcare, with an emphasis on endocrinology and cellular signaling, with an integrative and functional approach. My practice encompasses adrenal, thyroid and glycemic function, as well as women’s hormone health and men’s hormone health through support of optimal cellular signaling, which I support with foods, nutrients, phytotherapies, essential fatty acids, co-enzymes, adjuvant therapies and systemic enzyme therapy. By training, I am both a Naturopathic Physician and a Registered Nurse. I am licensed as a Naturopathic Physician by the state of Washington. I graduated in 1993 with a Doctor of Naturopathic Medicine degree from the National College of Naturopathic Medicine in Portland, and have been licensed as a Naturopathic Doctor (ND) since 1993. While residing in the state of Florida I use the designation “Registered Nurse, Naturopathic Doctorate” because Florida does not yet recognize Naturopathic Physicians in this state. As a Registered Nurse in the state of Florida I limit healthcare to that allowed by my license, and use my Naturopathic Doctorate in an educational capacity. I have been a licensed healthcare practitioner since 1979; beginning as a nurse. In addition to my clinical experience, I have had the honor of being a consultant, advisor, and educator in the nutritional and diagnostic industries. I became aware of the effects of poor hormone health while I was young. I believe I was in junior high (7th to 8th grade) when it was noticed that the front of my neck was swollen. I was diagnosed with Hashimoto's hypothyroidism, and started on thyroid replacement. This resulted in a dramatic growth spurt over the summer, as my body was catching up for delayed growth that was caused by the hypothyroidism. The growth was so extreme that I developed Osgood-Schlatter disease, which is a painful bump just below each knee and is most often seen in young adolescents. I still recall clearly how when I went back to school in the fall, all of my classmates had shrunken, and they had to tilt there heads back to look up at me. Since both of my parents were Registered Nurses, I had access to the Merck Manual, and started reading about thyroid disease, and other diseases, before I started high school. I was also fascinated by plants and herbal medicine and had a read a few herbals by the time I graduated from high school. In 1993, shortly after starting my practice as a Naturopathic Physician, I quickly noted that salivary hormone tests for premenopausal and menopausal women only included estradiol and progesterone. I remember reading (somewhere) that women has testosterone, so I asked a lab in Seattle to measured testosterone in women. This eventually resulted in my working at the laboratory. In 1996, as Director of Technical Services at National Biotech Laboratories, I added testosterone assays to both menopause and female hormone profiles. The validity was immediately recognized throughout the laboratory industry that it was quickly adopted by every other saliva testing laboratory. During that time, the phrase "Estrogen Dominance" was relatively new. Unfortunately, it was being use to promote the use of progesterone. I say "unfortunately" because lab tests (saliva, urine, blood) often showed that women actually had normal estrogen levels, but were deficient is progesterone. At that time I defined what the proper relationship between progesterone and estradiol should be based on objective lab tests, and added P:E ratio analysis to menopause and female hormone profiles. That advancement that was also adopted by every other saliva testing laboratory. National Biotech Laboratories merged with GSDL, now called Genova Labs, and I moved to Ashville for a few years to help with the transition and continued development. My work with integrative laboratories also involved the development of primary, secondary and tertiary interpretive commentary. This "smart commentary" replaced the cut and paste block text that was being used in the 1990s. Now, smart commentary is the gold standard to lab test interpretations. In my clinical practice (based on my testing of estradiol, progesterone & testosterone) I noticed tremendous variability in how each woman experienced menopause. Because all three hormones were being tested it was pretty obvious that these significant variations in menopause was due to different patterns of estradiol, progesterone & testosterone. Since I was measuring testosterone in women, by 1995 I had defined the twelve major menopause patterns based on the variations in estradiol, progesterone & testosterone. to my surprise, a number of women actually had elevated testosterone levels. While teaching these observations at a medical conferences with pharmacists and physicians a book company asked me to write a book on my findings. 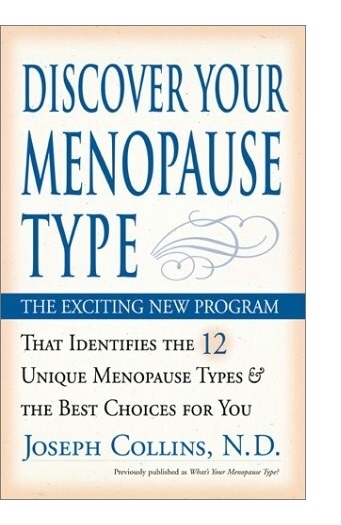 The book was published as a hardback in 2000, and then as the softback edition, Discover Your Menopause Type” in 2002. Also in 2000, I presented a paper, and a presentation to A4M titled; Salivary Hormone Testing: Science, Benefits, Limitations & Clinical Applications. That concepts which are discussed in that paper are is salient to day as they were in 2000. While salivary hormone testing is a valuable diagnostic tool, it must be used properly to get accurate results. Just as important, we need to be open about its limitations so that we can use collection schedules that overcome these limitations. Advances in hormone health are also in a very large part due to the availability of customized dosages of bio-identical hormone replacement therapy (BHRT). This advance is safeguarded by the skills of compounding pharmacist. Unfortunately, BHRT has unrightfully been maligned by opposing interests. Because of my extensive work with compounding pharmacists, I have been published twice in the International Journal of Pharmaceutical Compounding. One of those articles is a polemic against the misinformation and propaganda attacks on BHRT. That article is licensed to sharing, in order to "raise both professional and public awareness of our need to protect individualized care and of the many benefits of pharmaceutical compounding." Please take time to read it: Hormone Therapy: It’s Time For A Second Opinion. My work with hormone health also focused largely on the effect that specific plant extracts that could not only improve the function of glands and tissues that produce hormones, but also specific plant extracts that could improve the function of tissues that respond to hormones. I believed that by design we were given plants that could affect our hormone health far beyond the rudimentary ideas about “phytoestrogens” that limited our understanding of phytotherapeutic applications in endocrinology. In 2005 I created the Phytocrine™ model of endocrine therapy, based on a specialized field of science I call phytocrinology™. As a phytocrinologist™ I continue to scour through the scientific literature to continue to learn about the unique relationship that humans have with plants. There are links below for newsletters I have written on phytotherapy. My clinical practice included extensive use of herbal therapies (phytotherapy) for endocrine disorders, and I notice that specific herbs had different affinities for different hormones. While it was pretty common knowledge that some herbs affected estrogens (such as phytoestrogens), and we were beginning to see that some herbs were more androgenic (affecting testosterone), I also found that others were more likely to affect progesterone function. This is an important observation since menopause had different hormone patterns and the “one-size-fits-all” herbal therapies that were widely available, turned out to be just as inadequate as the “one-size-fits-all” pharmaceutical hormones. Recognizing a need for more advanced herbal therapies, that would address the specific hormone problem, I developed the unique line of Hormone Specific Formulations™. The formulations started with the first generation of EstroMend™ to specifically improve estrogens function, and ProgestoMend™ to increase the production and function of progesterone They also included TestoGain™ to increase the production and function of testosterone. The first generation of what has been upgraded to TestoQuench™ for Women was also in the initial formulations, to help those women who have androgen excess disorders such as PCOS/PCO-like syndrome, as well as some Menopause Types®, and some forms of PMS/PMDD. Over the years, the formulations have been expanded to include TestoQuench™ for Men, for men with abnormal androgen metabolism, such as those with prostate disorders. EstroQuench™ , which is used by both women and men was formulated to quench excessive production of estrogens by supporting endogenous aromatase inhibition functions without adversely depressing the production and function of testosterone or other androgens. The ThyroMend™ was created to improve thyroid hormone function – which proved to be especially helpful in people who were not getting better even though they were on a good thyroid prescription. The AdrenoMend™ was added to address the complexities of what is popularly described as adrenal fatigue and adrenal dysfunction. Once you read the education module on Adrenal Health, you will see that these fatigue disorders involve much more than the adrenal glands. The Hormone Specific™ Formulations also include Endocrine Complete™ to provide support of endogenous hormone production by the entire endocrine system. These formulations are all manufactured and distributed by Douglas Laboratories, the provider of the highest quality nutritional supplements. Learn more about the Hormone Specific Formulations™. Since I have been a consultant to a number of nutritional supplement companies since the early 90’s I have been aware of the benefits of choosing only high quality herbal and nutritional supplements. Consistent potency of product formulation ensures clinical success. I learned that new innovations and experience both count when it comes to choosing nutritional supplements. Douglas Laboratories has been in the nutraceutical industry for over 50 years. They actually manufacture their own products using state-of-the-art manufacturing and very stringent quality control measures including ISO 9001 Certification and ISO 17025 Accreditation of their laboratories, (cGMPs) current good manufacturing practices, (SOPs) standard operating procedures and a VCP (Vendor Certification Program) ensures raw material safety and quality. They are in full compliance with the Public Health Security and Bioterrorism Preparedness and Response Act of 2002, assuring safety and uninterrupted flow of all raw materials. They are also the industry’s first fully electronic, bar code driven, paperless manufacturing system to pass the FDA’s rigorous audit, with an exclusive Veri-Match labeling system to ensure verification prior to production and release of all products. Above that, I find their staff and scientists to be very easy to work with, and can always count on their support and advice. Since the hormone health formulations represent a significant part of my life’s work, Douglas Laboratories is best choice for manufacturing and distributing the formulations I designed. Over the years, I have authored many articles, newsletters clinical documents webinar and presentations, and even a few posters for nutritional companies and diagnostic laboratories. It is an honor to promote the growth of integrative medicine through continued writing, as well as through clinical consultation, lab test consultation, conference lectures, webinars, and the development of this websites. There are links below for some of the posters and newsletters that I have written while serving as an Advisor for Douglas Laboratories. Like other integrative healthcare practitioners I realize that almost two-thirds of people aged 50 and older are using some form of complementary and alternative medicine, and that those of us who have been involved in integrative healthcare for decades can best serve society by sharing our experience with other practitioners, as well as patients. In fact, this advancement of medical knowledge is part of the oath that healthcare professionals take. In my role as an Integrative Healthcare Consultant I advise and assist physicians, pharmacists, clinics & hospitals in integrating natural therapies such as nutraceuticals, and herbals, and bioidentical hormone replacement therapy into the care of the patients. I have done over 500 hours of teaching at seminars and conferences, and continue to educate and advise other integrative practitioners in the assessment and management of menopause, PMS/PMDD, thyroid and adrenal disorders, as well as inflammatory diseases and celiac disease. I hope that brief summary of my work with hormone health will give some insight into my work and interests. Here are links to some of the posters and newsletters I have written. While those writings have historical significance, the most up-to-date information will be found on this website. The Educational Modules and Educational Resources for hormone health and the Blog are updated regularly.